Back in November I was approached by Kelly Vaughan of Hartford Magazine. She had an idea for a story- a day in the life of an event planner. She wanted to show what a planner’s day looks like, what they really do for their clients, and why a couple should consider hiring one. She asked if she could shadow me for a day, and of course I said yes! We started our day visiting one of my favorite rental company showrooms- Peak Event Services. There we worked on the final details for one of my upcoming weddings, and chose some linen options to send to the bride. Next, she accompanied me on a site visit to the Webb Barn in Wethersfield, CT. I had never visited before, and wanted to check it out as an option for future couples. We had a lovely tour, and the barn space is really rustic and beautiful. Next, we settled in at Starbucks and continued our chat over lattes. I spoke about what a normal day usually looks like (a lot of emails!) the reasons why I got into this amazing industry, and what I love about it most. It was a great day, and I feel so lucky for the opportunity. I couldn’t be more thrilled and honored with how the article came out. 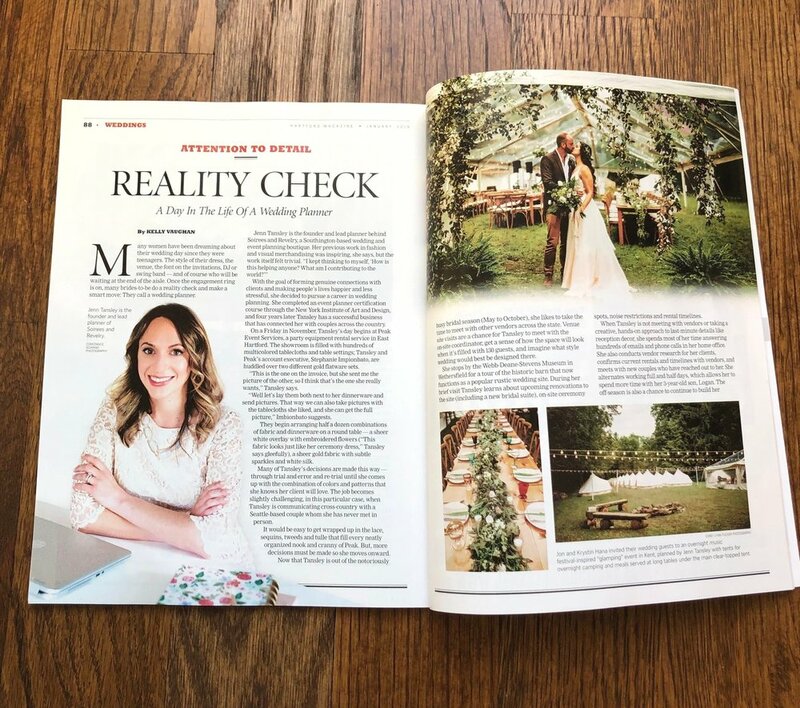 And if you would like to read the full feature, you can do so here - A Day in the Life of an Event Planner.